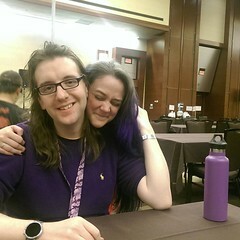 This past weekend found me spending my time learning new games, meeting new people, and looking at the upcoming season of games at GTS’ come and play day. 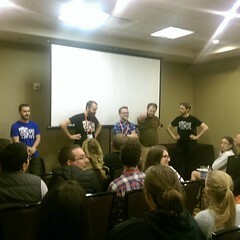 This is a small two-day meeting of northwest game stores and representatives of game companies (local and not). It was really great to see my friends in the industry. It was also a wonderful opportunity to try out a few upcoming releases. First on my list was Krosmaster Arena from Japanime Games. Japanime Games is the company responsible for importing the awesome Tanto Cuore and Kanzume Goddess. These games are taking pretty traditional deck-building mechanics, and making them flirty anime fun. 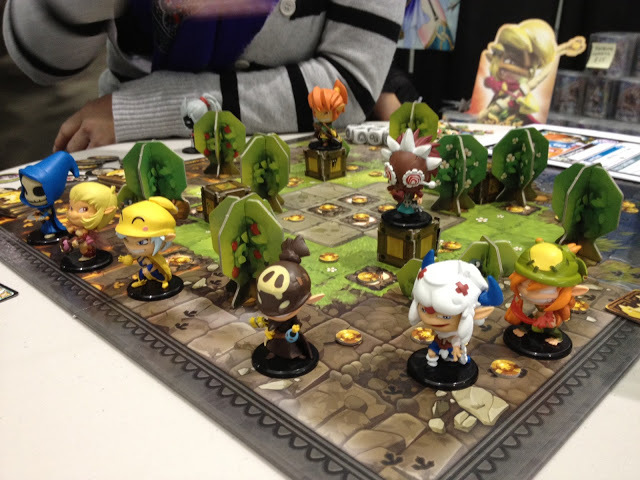 Krosmaster Arena is very different for them, as it is a tactical minis game that was based off of a video game. I have never really checked out this video game. ( no surprise, I am not so good with the video gaming). 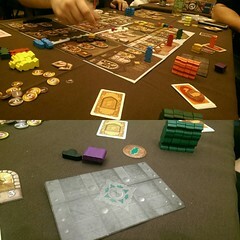 The board game pits two teams in a tactical match. Each team has four characters with cool abilities and inherent fighting stats. It was adorable! Each character has unique abilities, and the team play was interesting. I liked having to maintain my own characters’ health, as well as helping out my partner. 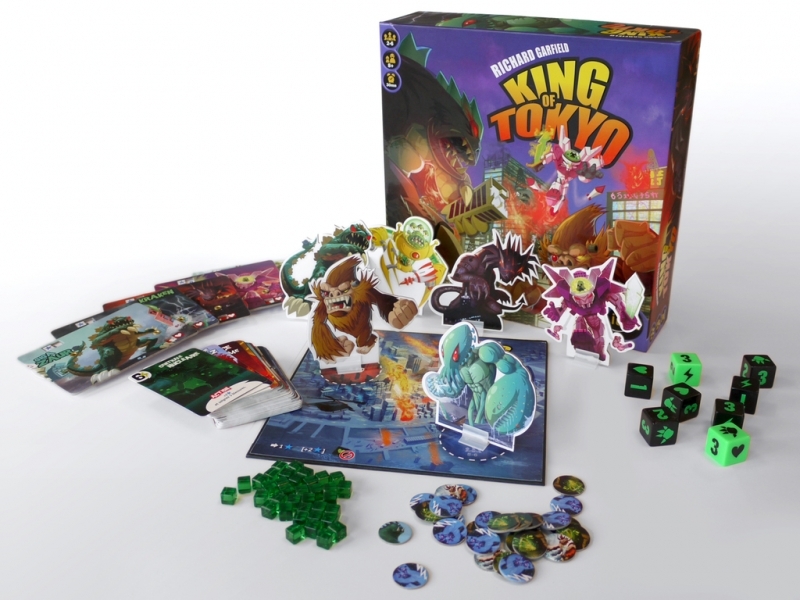 Next we played a giant set of King of Tokyo! KoT is a silly king-of-hill game I have dubbed ‘monster yahtzee’. So, not something I would play in my group, but something I’d break out when kids are around, sure. The standees were my own height. 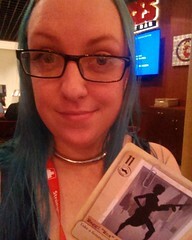 The dice were about the size of my head. This is something GTS whipped up, which will be hopping around to different conventions. 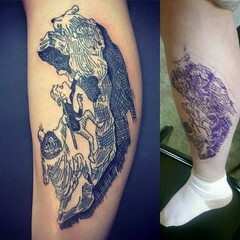 I can’t recommend it enough!! We basically had to throw the cantaloupe-sized dice against the wall to roll them. Last, but certainly not least, I had a devastatingly small round of High Command. 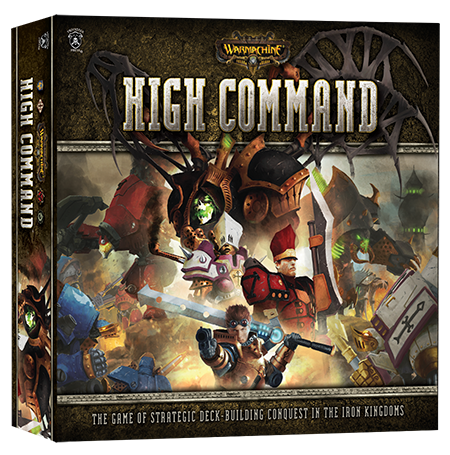 High Command is Privateer Press’ new card game. They have created a deck builder with the personality of a skirmish game. This was fabulous! Each player chooses a faction (Warmachine factions will premiere first, with Hordes to follow soon enough). Players get an interactive game, fighting over territory. The casters are familiar, but I do not think the cards reflect their abilities in the regular game. I did love that they each had a card game equivalent of a ‘feat’ like in Warmachine. I’m glad I’m starting to get invites to this sort of event, and I think I’ll have to plan to send myself to some of the bigger ones in the coming year! This entry was posted in Board games, news, thoughts and tagged Board game, Card game, Game, high command, Hordes, king of tokyo, krosmaster arena, Privateer Press, Tokyo, Video game, Warmachine. Bookmark the permalink.